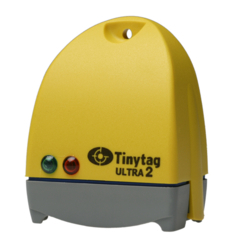 This Tinytag Ultra 2 thermocouple logger Starter Pack contains everything needed to start logging. The TGU-4550 supports four types of thermocouple sensor - K, J, T and N - offering cost-effective and fast response monitoring from -200°C to +1370°C, depending on the type used. It also has a built-in temperature sensor (-40 to +85°C) allowing simultaneous monitoring of process and ambient temperatures. The connector supports standard and miniature thermocouple plugs. 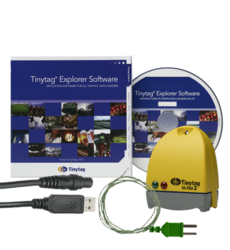 This Pack contains: the thermocouple data logger (TGU-4550); Tinytag Explorer software (SCWD-0040); USB offload cable (CAB-0007-USB); and a Type K Themocouple (PB-4001-1M).